Net sales increased marginally by 9.2% to Rs 819 crore, as compared to market expectation of 25% growth. Operating profit grew 9.5% to Rs 106 crore helped by a 21% decline in construction expenses, while the raw material and employee costs spurted. Consequently, operating margins were stable at 12.9%. Finally, a 40% jump in interest costs and foreign exchange loss of Rs 6.8 crore resulted in a 7.4% fall in PAT at Rs 23.2 crore. Meanwhile, Hindustan Construction Company (HCC) recorded strong 35% growth in the order book, now worth Rs 12,177 crore, 3.6 times its trailing four quarters' sales. The order book could strengthen further as the company's bids for over Rs 30,000 crore worth of orders are under evaluation, while it has emerged lowest bidder in orders worth Rs 5,000 crore. The composition of the order book is undergoing a healthy change. The share of high margin and high growth segments like power and irrigation has shot up from 66% to 79% y-o-y. The share of these sectors has gone up from 51% to 66% in sales of the December '08 quarter. The scenario for order inflows, which jumped 35% y-o-y, appears healthy as 90% are government contracts, where the awarding is strong. Though this gives hope for better performance going ahead, execution risks still remain. The much-awaited first phase of the Bandra-Worli Sea Link project is scheduled to become operational by March 2009. 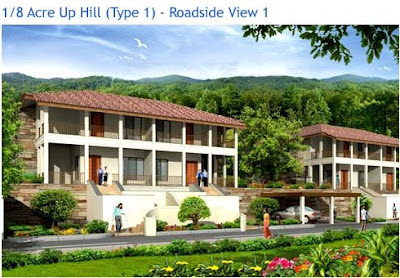 The company's real estate projects such as 247 Park, an integrated IT and corporate park at Vikroli (Mumbai) and phase I of Lavasa, the largest and India's first hill station near Pune, are scheduled to open for occupation in March and October 2009 respectively. The company's infrastructure subsidiary for BOT projects has two projects worth Rs 887 crore under execution and another one - in joint venture with John Laing and Sadbhav - to be awarded for Rs 1,415 crore.